Key= Locations represent key locations, cities, or sights of importance. 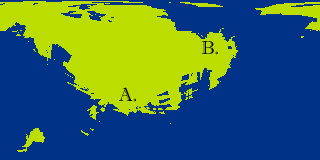 These maps give a generic layout of the large islands. It is safe to assume there are more population centers within the islands, but they are not of importance to the plot and thusly are not focused on. 1. Zeldin: This is the most populated of all the islands. It is home to the Head Quarters of the Category. During the years of the Paladin Rebellion, Zeldin was and has been Chenoa’s closest ally. The island is a land of rolling grasslands and beautiful coast lines. A. Eternium/Zeledin City: The Capital City of Zeldin and the Head Quarters of the Category. It is a city similar to Las Vegas with bright lights, busy city life, many airships, and of course the famous Casino Bay walk. It is here that some of the best beaches can be found. B. Elroot: This is a large settlement of Faye, that doesn’t want to intermingle with the busy life of Eternium. It is a much smaller port and thusly will remind one more of a small Mediterranean village. C. Nemeutia: Another costal settlement on Zeldin. This is the birthplace of the legendary hero Joshua. It is also the current home of Skie, his granddaughter. Since it is about 200 miles away from the main city, she likesto hang out here without being harassed by others. D. Fort Watcher: This is a military post of the Category. It is surrounded by rivers and canals that connect it with Eternium. 2. Aneos: A nation that lies within the heart of many trade routes, it is inhabited by the proper and dignified light nymphs. This nation has been a member of the Category for approximately 50 years and is best known for its natural hot springs, so it is used for a land of relaxation. A. Kingdom of the Springs: A region, not a true kingdom, of hotels that focuses on the tourist interest of hot springs. It is mostly a hub for the rich and wealthy. 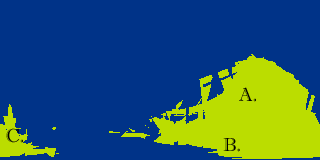 B. Frosh: This is the largest city on the island. It is also the main location of where many of the light nymphs live. The most famous feature of this city is the Temple of the Sun, which is in the shape of a large Light House. They believe that they are the true keepers of the Scared Fire and that Jason is offending their honor. 3. Azar: A nation that lies to the south of the Category, it is a land of lawlessness, even Jason knows better than to attack this region. The land is mostly mountainous and population is only center on the coastlines. Many of the pirates use this region as a black market trade center and port land. A. Azaria: This the capital "city" of Medus' empire. It is a large city that creates most of the airships that the Yellow Brothers use. 4. 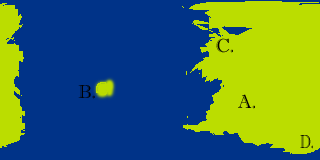 Relliniana: This is the official landmass that the Empire of the Sun is located on. The most aggressive of all the nations in defending its right to expand, in the years of Darius it attempted capture Zeledin but was stopped by Rane and her Paladin. During the Paladin Rebellion, it withdraw completely once other nations got involved in dealing with Rane. 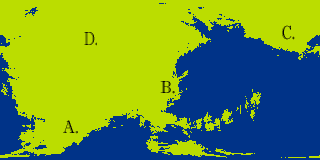 In Generation II, Jason seeks out Chenoa, which lies less than 45 miles across the Sea of Danapat. Relliniana is a land of ancient history with many ruins and some of the most advanced cities outside of the Category. A, Urki: The capital of Jason’s "Empire." It is a city that looks much like ancient Sparta or Athens. This is where most of his soldiers get trained and live for many years on end. B. Battle of Berick: This is the site of Jason’s victory over the only politicians that stood in his way of becoming Empire. Jason now uses the lands as a memorial to his important victory and has his personal summer estate located here, away from the hub of society. C. City of Kanold: The second largest city in the Empire, it is from here that Jason sent his first troops to attack Chenoa from. It now has many hidden resistance movements from Chenoa sabotaging various government offices to bring the war closer to Jason’s home. 5. Chenoa: This nation is one of the smallest within the region. However, it is the key to traveling to the western seas It has a history of being one of the most liberal kingdoms in all of Mirabella. Jason also believes that the Central Point of Chenoa is the key to winning the war to ensure his kingdom's right to expand. Chenoa is still very much a forested region that focuses on industry in the north, while the south is the sight of more farming. A. Elske: This is the Capital City of Chenoa. Voirrey’s palace is located here and it is currently under the influence of Jason’s army. Much of the Resistance is hidden here under the command of Voirrey in the faraway Zeldin Island. B. 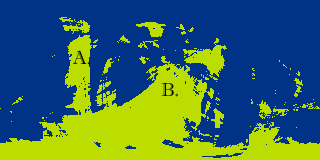 The Central Point: Called so because it is an island located in-between the two main lands of Chenoa. It is the sight of many important events and is the key sight that Jason wants. C. Temple of the Moon: This is a holy site for the Twilight Tribe, much like how the light tribe, views the importance of the Sun. It is also in the shape of a giant light house. It is controlled by Erin, whom Jason avoids attacking at all costs. D. Battle of the Plateau: From Kanold, this is the location from which Jason’s forces first landed and easily crushed the outdated Chenoan military. It was an approximate 50 mile march to the capital. However, by the time the army reach the capital, Voirrey and her government had already withdrawn.